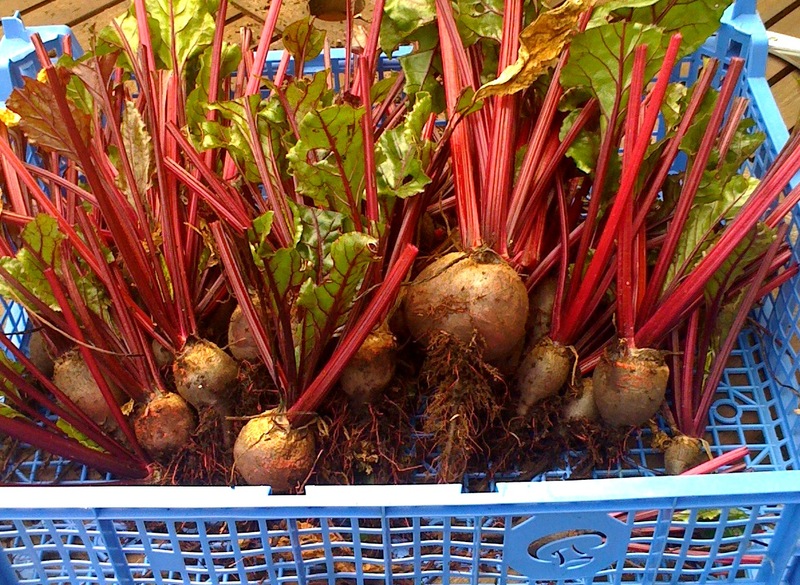 I had some nice sized beetroots in my pots this year! and decided to use a similar recipe to my Pickled Shallots to pickle them! But instead of the onion prep bettroots need boiling until tender, but dont cut the stalks/roots too short leave them as long as the pan allows otherwise they seriously bleed colour!! 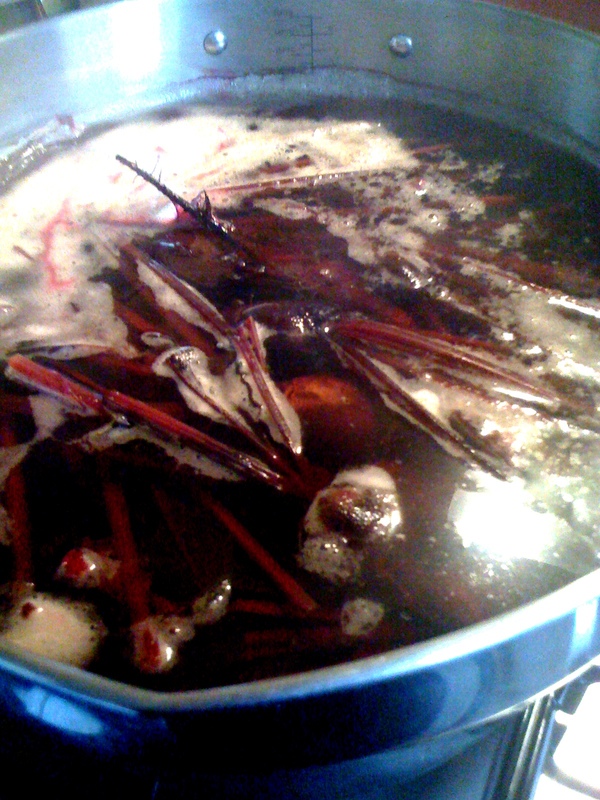 Drain reserving the water if you’d like to try making CJJ Berry’s Spiced beetroot wine!!! Make up the pickling vinegars and warm gently in a pan. Once boiled douse the beets in cold water and slip off the skins WEAR gloves or you WILL go red!! slice the beets still wearing gloves!! and add to warm sterilized jars and pour over the vingar mix ensuring the beetroots are all covered. from → Recipes and Cooking, Simple Living, The Good Life - Gardening! ← The BEST carrot cake!